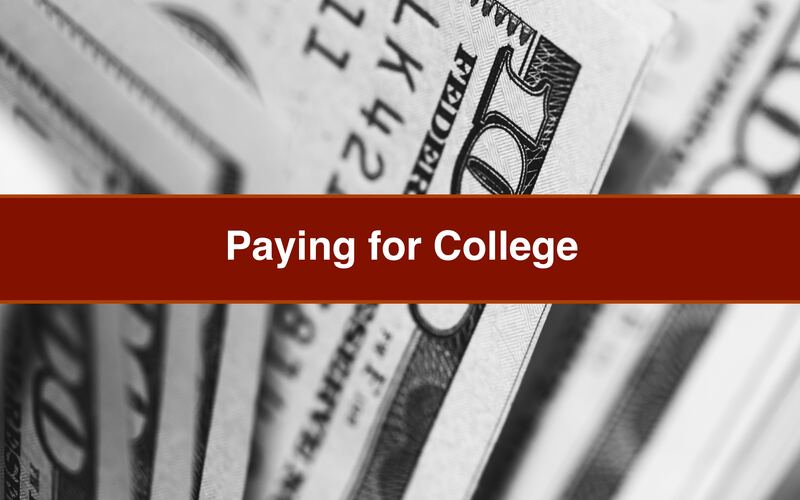 The number one challenge for parents with teenagers is paying for college. Let’s look at the numbers. That is if your child goes to school for just four years. Research shows that the average length has gone from four to six years. If they go six years, you are looking at the cost of $120,000. I’m not a math whizz, but I know that’s enough money to buy a vacation home or travel through Europe a few times! College, no doubt, is a huge financial investment. Here is more depressing news on college costs…Last year, the department of education released a report saying that 30% of beginning college students change their major within the first 3 years. Changing majors can add an additional $25,000 to college costs. Check out my article on Tips for Avoiding the Costly Effects of Changing Majors. Worst yet, research shows that nearly 2 million students who begin college each year drop out before earning a diploma. If your child drops out you could still be in debt. I know of a family whose son, Stephen, dropped out of college after a year and a half. Those 18 months in college put the family $20,000 in debt. So, what’s the secret when paying for college? If you start identifying your child’s college interests early and don’t procrastinate, there are huge financial and personal benefits for everyone. Have you heard my story? I thought my dream job was to be a marine biologist until I found out how much math was involved in earning that degree. If I had started exploring what it took to be a marine biologist earlier, I could have potentially avoided picking the wrong college major, saving myself a lot of heartache and my parents a lot of money. You can click here to see more of my story. I recently worked with a student, Eddie, who had no idea what he wanted to do as far as college. His parents weren’t quite sure if hewas ready for a traditional four-year college. In working with him, we identified more than 15 jobs that he would truly enjoy and discovered that he could get the education he needed by going to technical schools. Think of all themoney those parents are saving when paying for college! As a bonus, the jobs hematched with made at minimum $60,000 a year! You need to start having these conversations in their freshman year of high school. I know as a parent, we may think it’s too early or we get sad at the thought of our child “leaving the nest.” In reality, its the best time to talk to your child about this. Ask if they have thought about colleges they want to go to and why. Ask what careers they find interesting. For more tips on how to have these conversations, you can download my free guide by clicking here. There are many career assessments out there. Many high schools will have free ones you can access. However, they typically only look at your child’s strengths but don’t match them to specific jobs. The best career assessments tie the child’s natural abilities to actual jobs. I have a deep love for assessments and can help you find the right one. You may find that, like my client Eddie, your child’s ideal career may include a path other than college. Whatever your unique results, you and yourchild will be better equipped to select the right colleges that offerthe right major to prepare them for the career they want. Once your child has identified potential careers, they can start researching what colleges offer the education needed. There are some online tools for this. Here is one from Princeton Review. You can filter colleges by major, states, tuition, etc. Identifying your child’s college interests early will reduce your stress when thinking about paying for college. It really saves your time, money, and sanity. Comment below with additional questions you may tips you’d like to share. Is your child still unsure about what they want to major in? Being undecided can impact the number of years they are in school and how much money comes out of your wallet. Set up a complimentary strategy session to ask your questions so we can help. Click here to set up a time or give us a call at 678-761-3550.